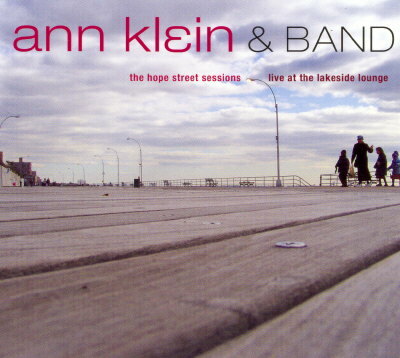 Ann Klein has established herself as one of downtown NYC’s premier guitarists and writers. Ann Klein has established herself as one of downtown New York's premier guitarists and writers. She has released three cds, "Driving You Insane" (out of print), "For the Love of Love" (available at CD BABY) and her 2002 release, "Waiting for the Snow." She has toured Europe extensively in support of her records, she has gotten rave reviews from the likes of Billboard, Relix and local press both in the States and in Europe. As a guitarist, she has played with Ani DiFranco, Joan Osborne, Toshi Reagon, Kate Pierson of the B-52s, PM Dawn and others. Ann moved to NYC from Connecticut and soon landed a gig with Joan Osborne. She played steadily with Joan for a year, sometimes just the two of them doing radio shows. They did a cable TV show together, which was constantly broadcast on VH-1’s “Before They Were Stars”. By this time, Ann had written countless songs and independently recorded “Driving You Insane.” “Insane” was critically acclaimed in Billboard (2 full length articles), Relix and Guitarworld. She was featured on the cover of Billboard in an article on NYC's best unsigned bands. Ann took “Insane” on the road, travelling the Northeast and Europe. She received support from college radio and local press. She has been invited to perform on WXPN’s (Philadelphia) “World Cafe” and WDST’s (Woodstock) “Sessions”. Producer Mark Plati heard “Insane” and asked Ann to play guitar on Natalie Imbruglia’s “Left of the Middle” (BMG), which she did. Some of her songs have made it on to MTV's "Undressed" and "Real World" and she was also hired to write a theme song for a cartoon character named "Bobby Blu".